I get a kick out of seeing where my paintings go and their new homes. 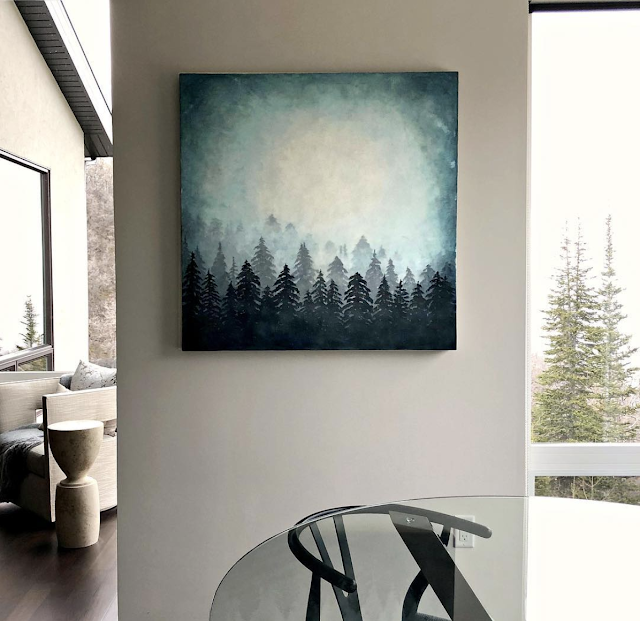 Even though I've been a full-time artist for over 3 years and selling work in galleries for 8, it still blows me away that people bring me into their homes through my paintings. I am honored and grateful. Thanks to Gallery MAR and Barclay Butera for this perfect placement in The Colony in Park City.